I am not big on alcohol, but I love delicious cocktails or mocktails. 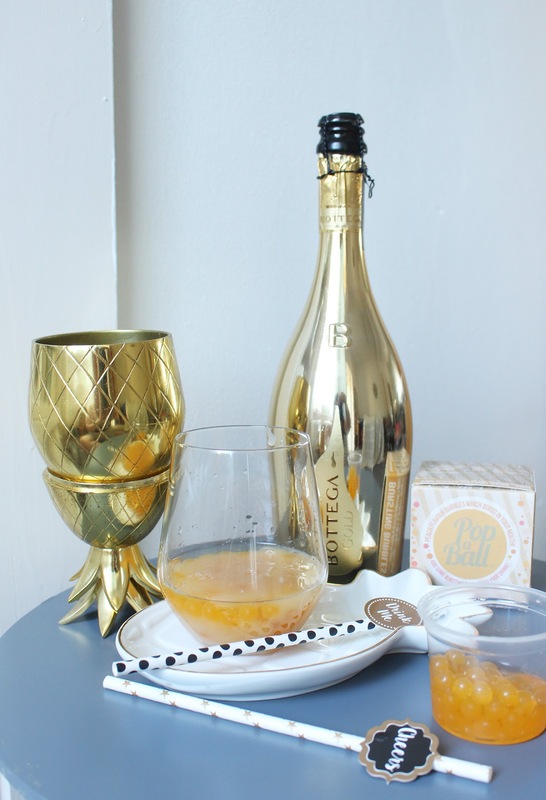 One of my favourites is a Peach Bellini and today I will be having a few of these with my Mother's Day dinner, so I thought I would share the recipe with you. 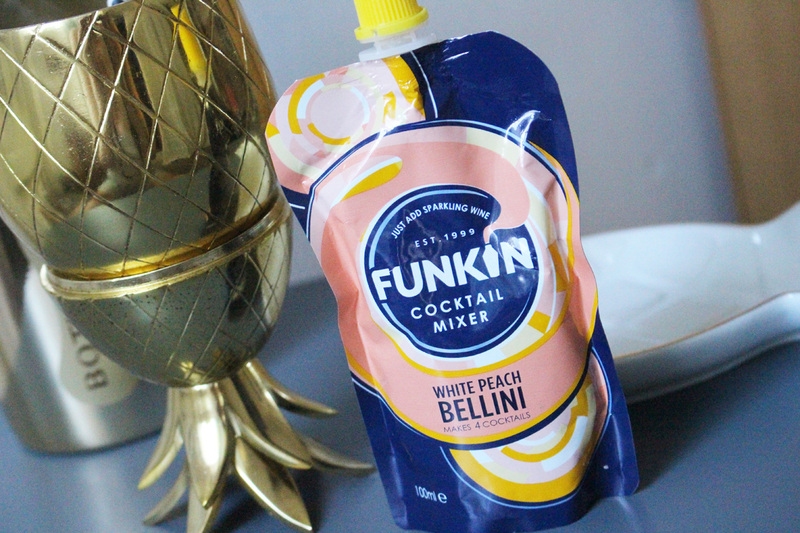 The easiest way to make these is with a mixer, like this Funkin White Peach Bellini*. You can whizz up some canned or fresh peaches instead of course, but the mixers are the convenient option. 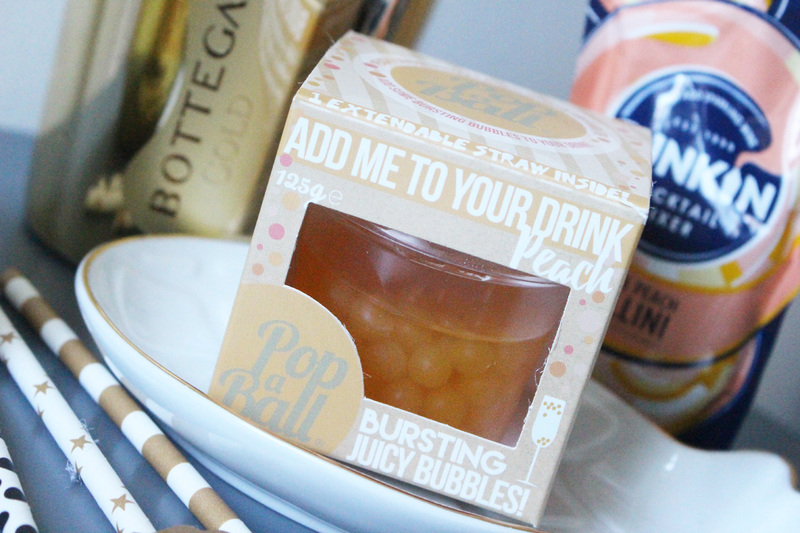 To add extra flavour, I used the Pop a Ball Bursting Juicy Bubbles in a Peach flavour. You can add these to any cocktail or sparkling wine, but if you want to make the best Bellinis, now you know the secret. And to really make a statement, pour it all into a Pineapple Tumbler*. How amazing does it look? It makes the most simple cocktail feel super fancy. And when you're not using it as a tumbler, it turns into a trinket pot. 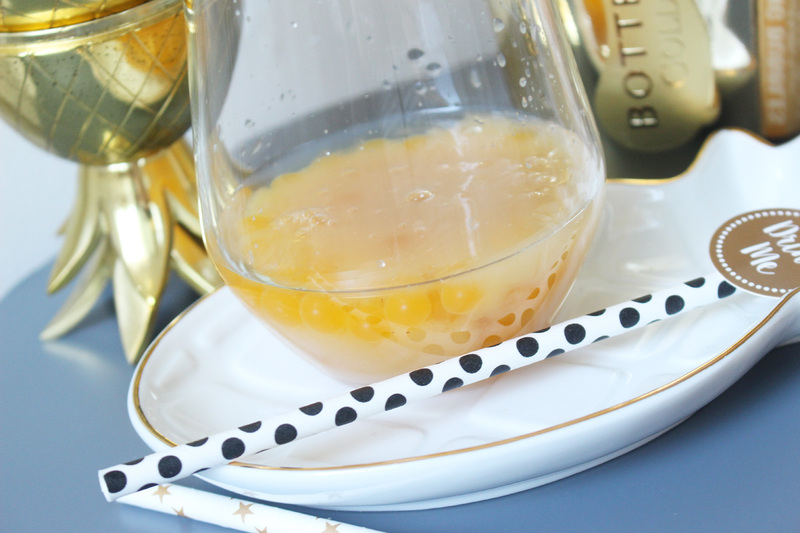 1.Put some bursting peach bubbles in your glass. 2.Top it up with a peach cocktail mixer. 3. Add Prosecco. 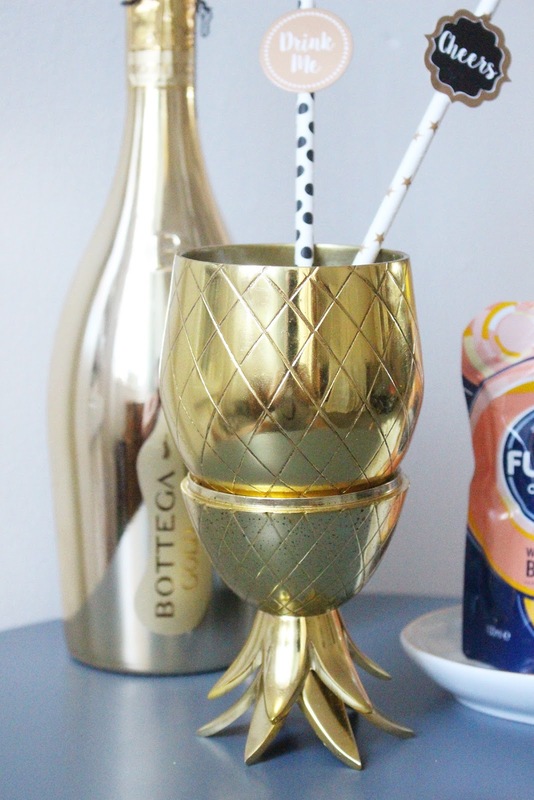 I used Bottega Gold*. I love the fancy bottle! I go for a 1 part peach, 2 parts Prosecco ratio. Cute straws will make it look even better. These are from Home Bargains. What's your favourite cocktail? 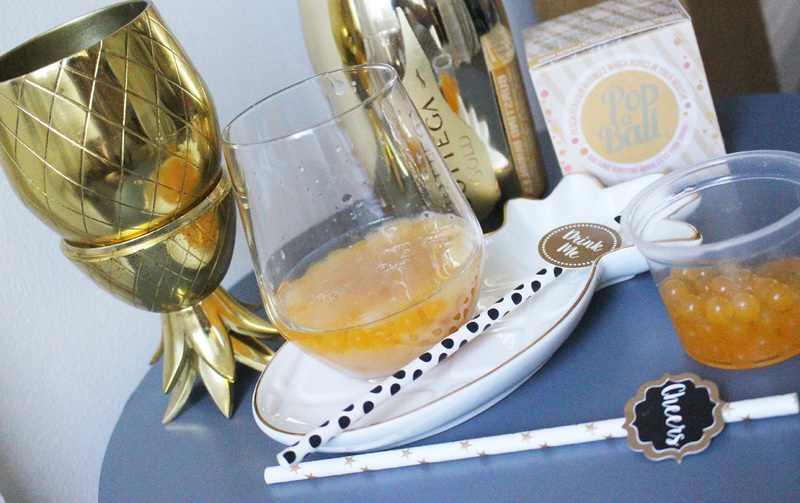 Do you like Peach Bellinis?